Safe drinking water at affordable prices to all the sections of society. One and the only company on the planet present in 15 years of experience, 33 Countries, 5 Continents, 7.5 million Beneficiaries, 6500 + satisfied clients, 14000+ Installations, 150+ International & National Awards & Accolades. To Inline with Make in India, Swachh Bharat, Skill India, Empowering Women, Safe Drinking Water, Family Mapping, Promoting Renewable Energy, Cleaning Septic Tanks & Drains concepts. Water Treatment plant with Microcomputer controlled with GPS enabled Smart Card based with a delivery capacity of 2000 litres per day. Treated water quality is at par / equalling with any branded bottled water. High Quality, BIS standard, CE, NSF certified material is used in the construction. 100% shock proof, user-friendly, compact and sturdy. The plant can run on the solar power. Training on Solid waste management, ISL (Individual sanitary latrines), Community toilets, Biogas plants, Rainwater harvesting construction and maintenance of the same and low cost housings construction. Hygiene Products sales: – Sanitary Napkins, Toilet Cleaning chemicals, equipments etc that helps in maintenance of personnel as well as hygiene of the surroundings. Family Mapping of Complete Family members - Gender, Age, Employment, Education, skill and local resources profiling. Connecting people based on need, knowledge, Product, Marketing exchange opportunities. Micro finance, Gold loan and crop loans. Health Profiling, Tele Medicine, Generic Medicines, Diagnostics & complete health care. Internet, Digital education and Skill development. Mobile Recharging, E-Money, Insurance (Health, Human, Cattle, corps and Vehicle). Tourism Development, Travel trips management activities. E- Commerce facility for buying and selling products. Promoting Alternative and renewable energy, saving energy by Promoting Solar LED systems. Water audit, Energy audit in communities, institutions, industries & corporate. Promoting & Protecting Indian crafts and culture by recognizing & registering them. Cleaning and sanitizing of community over head tanks, individual water tanks & sumps. Cleaning Septic tanks, Drains, Mosquito Fogging Activities etc. Green House, Poly House, Horticulture Development and Planting trees. The entrepreneur has to supply to a minimum of 200 families at some expected cost he/she wishes. The initial investment will be rupees 99000. 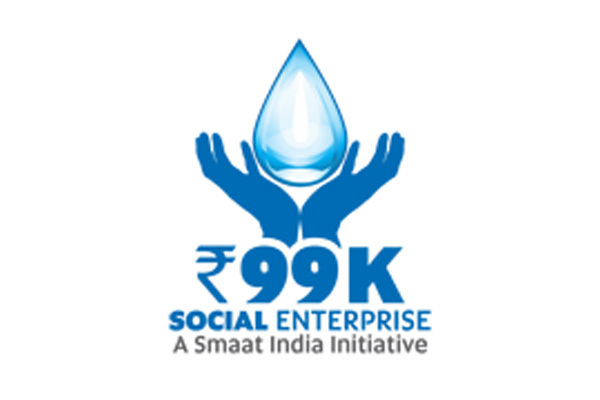 Taking two hundred families into account and minimum water consumption of an individual into consideration, the entrepreneur will be able to sell more than 1600 litres per day. Even if the minimum selling price is considered, the entrepreneur will be able to get twice the money as return on investment in a single year.